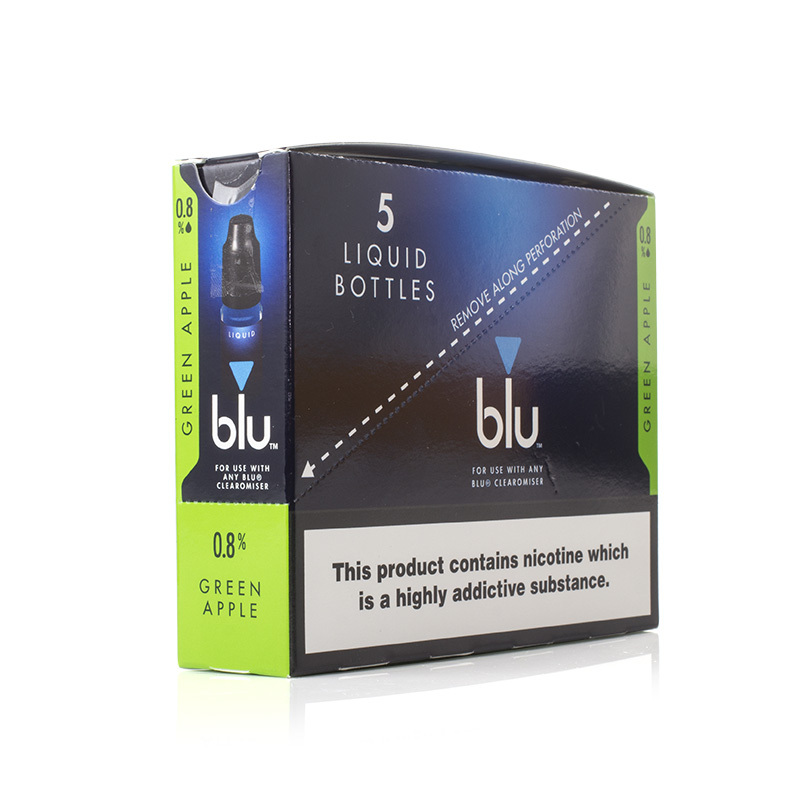 The Blu Pro Green Apple E-Liquid (50ml) delivers the taste of tart and crisp apples – reminiscent of Granny Smiths. It's designed for exclusive use with the Blu Pro E-Cigarette. Five bottles are included, making it easier for you to stock up on your favourite flavours. One of the biggest names in vaping, Blu have spent years perfecting their e-liquids and hardware to ensure perfect performance. The Blu Pro range of e-liquids has been developed for exclusive use with the Blu Pro e-cigarette, ensuring quality vapour every time. Refreshingly sharp and tart, Green Apple e-liquid delivers the great taste of a Granny Smith apple. A full-bodied flavour, it's great for anyone looking for an e-liquid that blends sweet and sour notes effortlessly. 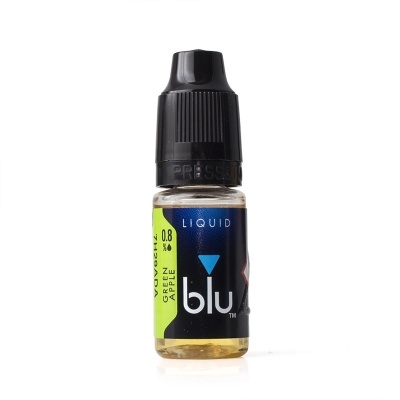 For a smoother vapour, the e-liquid features a VG/PG mix of 30/70. 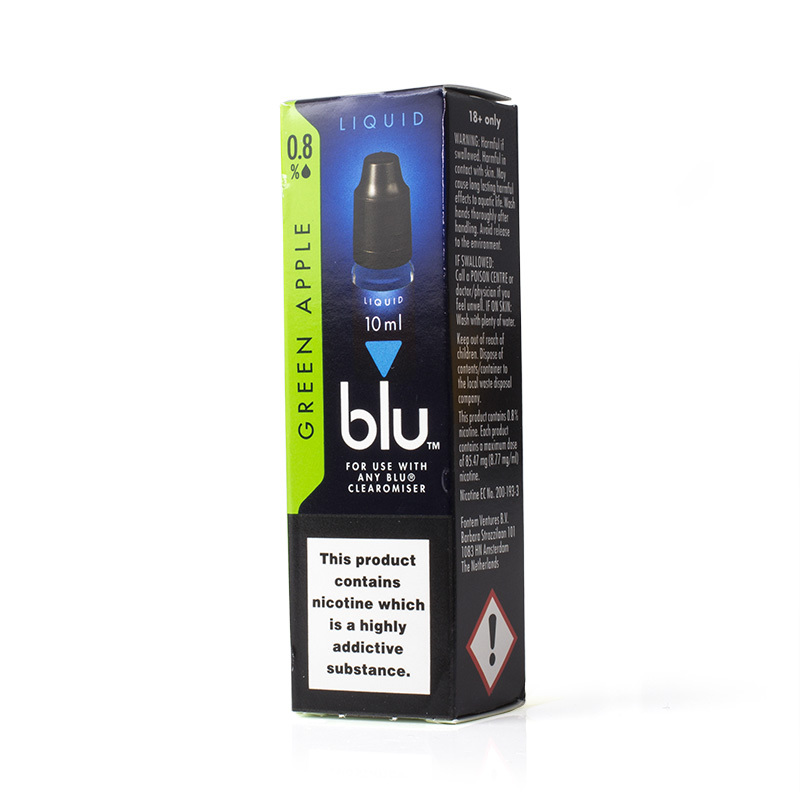 Blu Pro Green Apple is supplied with an 8mg nicotine strength. This is great for anyone looking for a lower nicotine strength without compromising on flavour. 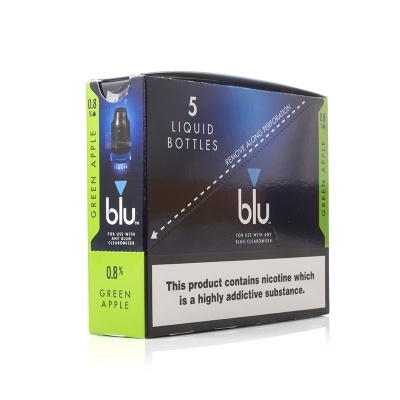 The Blu Pro Green Apple E-Liquid (50ml) is supplied in 50ml volumes (5 x 10ml bottles). Made specifically for use in Blu Pro e-cigarettes, the Blu Pro E-Liquid features a targeted formulation to maximise quality and flavour. The bottle even includes a nozzle that has been designed to make refilling as easy as possible.